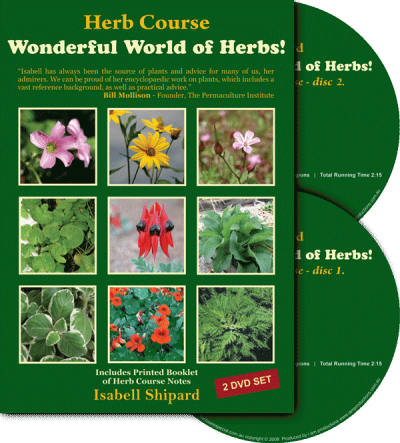 Herbs are Special > Products > Isabell's Books and DVDs > Self Sufficiency and Survival Foods! 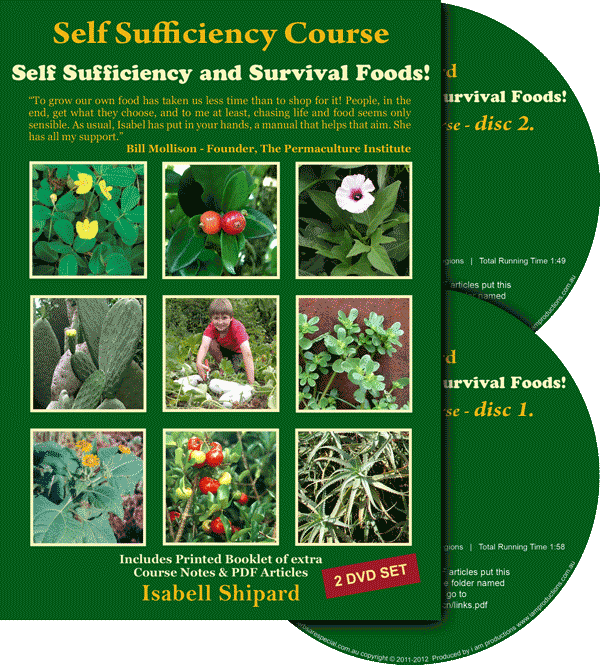 Home / Isabell's Books and DVDs / Self Sufficiency and Survival Foods! 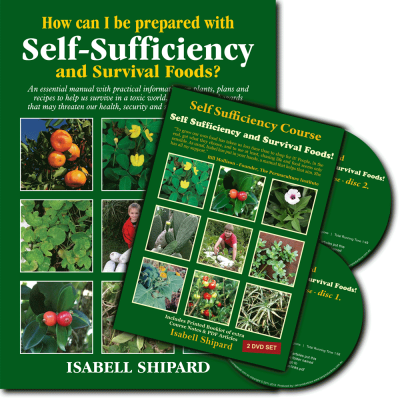 On September the 30th and again on October the 1st 2011 Isabell Shipard held her last full day course on Self Sufficiency and Survival Foods. 2 days full of information and over 200 attendants, it was a huge success. 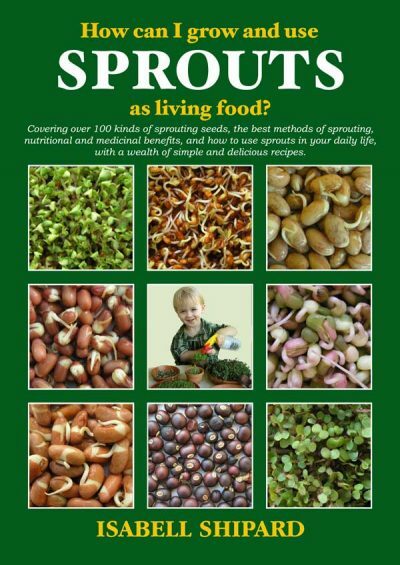 * Sprouts are Living Food… at their very best! 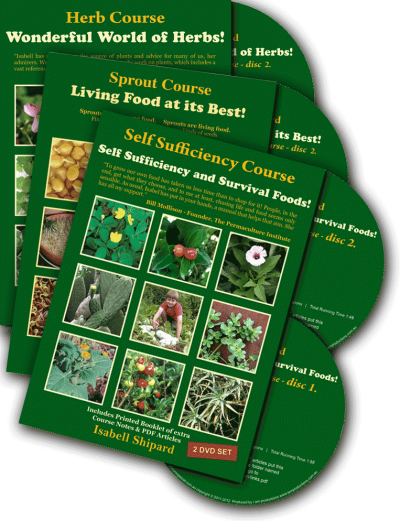 To get the most out of Isabell Shipard’s Self Sufficiency courses on DVD, it is recommended to also have Isabell’s Self Sufficiency book “How can I be prepared with Self-Sufficiency and Survival Foods?” as the course gives a visual learning experience, but cannot in a few hours give all the information that is valuable about the plants. 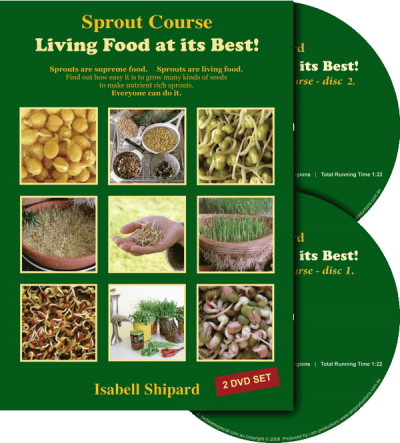 In this course Isabell covers valuable information, which every person will find practical for daily living. 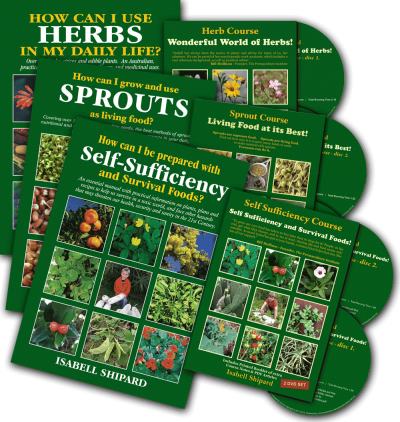 Prepared-ness is like a spare tyre. We all have a spare tyre in our car, because flat tyres do happen. 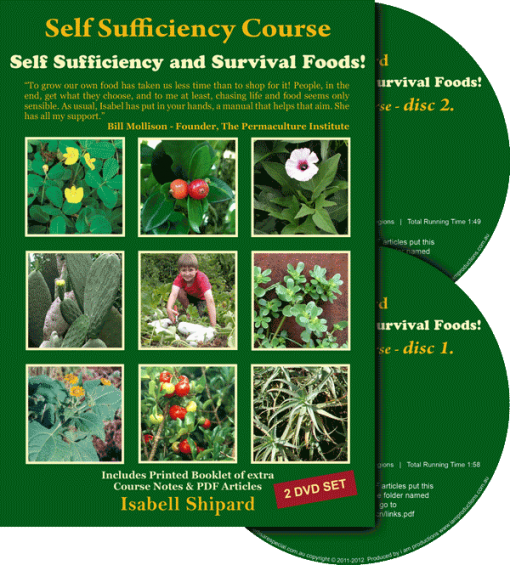 The same is true, of surviving an emergency, disaster, food shortage or economic downturn. 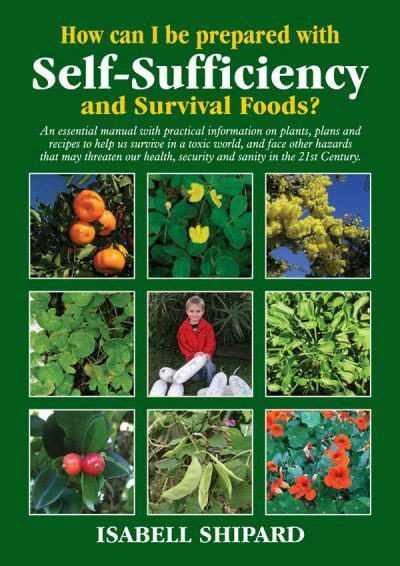 Being self-sufficient is not just living on less it’s about increasing our quality of life while decreasing our dependence on money, fossil fuels, and consumer-ism. By creating a more sustainable future, we can view the future, more positively. 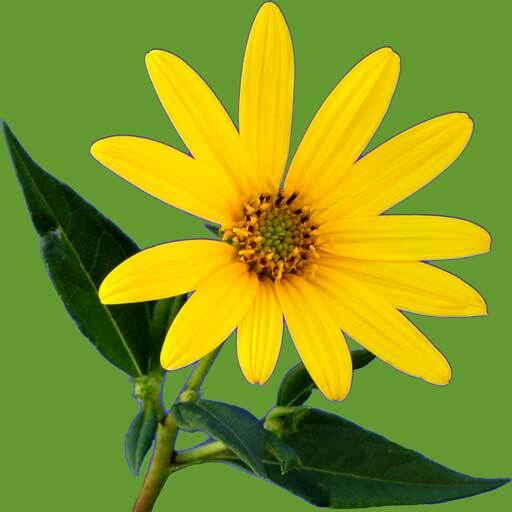 Positive vision breeds enthusiasm, which also breeds action.